Second series of KPL from April 25 - Integration Through Media ....! 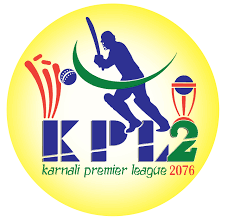 SURKHET: The second series of Karnali Premium League (KPL) is taking place from April 25. The Karnali Cricket Academy is organising the championship at Kalunchowk Cricket Ground at Birendranagar. Academy Chair Jeevan Shahi said that Tribhuvan Army Club, Nepal Police Armed Police Force, Karnali Cricket Academy, Mahendranagar Cricket Academy, Kanchanpur, Laligurans Cricket Academy, Jhapa, Midwest Cricket Club, Banke, and Himalayan Cricket Academy, Kathmandu, would participate in the championship.